We understand that your pet has become a member of the family. Pet insurance can provide you with the peace of mind knowing that you are prepared to give them the best health care possible. Pet insurance in Georgia provides affordable and flexible plans to fit your pet’s needs and your budget. 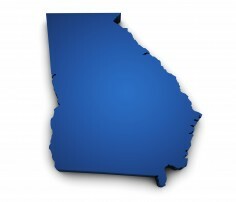 Our goal is to provide you with the area-specific health risks and concerns to dogs and cats in Georgia. Understanding these health risks can help you make an informed decision about the right pet insurance plan for you and your pet. Geographical conditions and climate pose specific health risks to pets living in Georgia. Due to the warm and humid climate, pets in Georgia are more likely to have ticks, fleas, heartworm, tapeworms, roundworm, whipworm and hookworm compared to the national average. These parasites can transmit serious infectious diseases. Cats in Georgia and also more commonly diagnosed with Feline Immunodeficiency Virus. FIV, very similar to HIV for humans, is a virus that is spread through the close contact of an infected cat and can be very serious (especially among kittens) but can be treatable if caught early and may be preventable through vaccinations and testing. Also, dogs are at a higher risk of getting heartworm, a life-threatening yet preventable disease transmitted by mosquitos, compared to other states. Fortunately, these common health conditions among dogs and cats in Georgia are preventable and/or treatable through routine veterinary care and pet insurance can help protect you and your pet from the increasing cost of health care associated with these illnesses. ◦ Georgia is home to dangerous wildlife such as bears, foxes, coyotes, and bobcats which have all been known to attack cats and dogs. It is recommended that cats be secured at night, and dogs should always be supervised off leash during the day. ◦ There are large numbers of venomous spiders found in Georgia such as the Black Widow and Brown Recluse. If your cat or dog is bitten, seek medical attention immediately.